Our first ‘Coffee Table’ Book. Come pick-up a copy and enjoy the scenery of Taiwan wherever you are. Proceeds from the sale of this publication are reinvested in the community through The Center’s programs and services. Do you need to find a family doctor, travel agent, shops selling imported groceries or want to know where to find an English-speaking hair stylist? 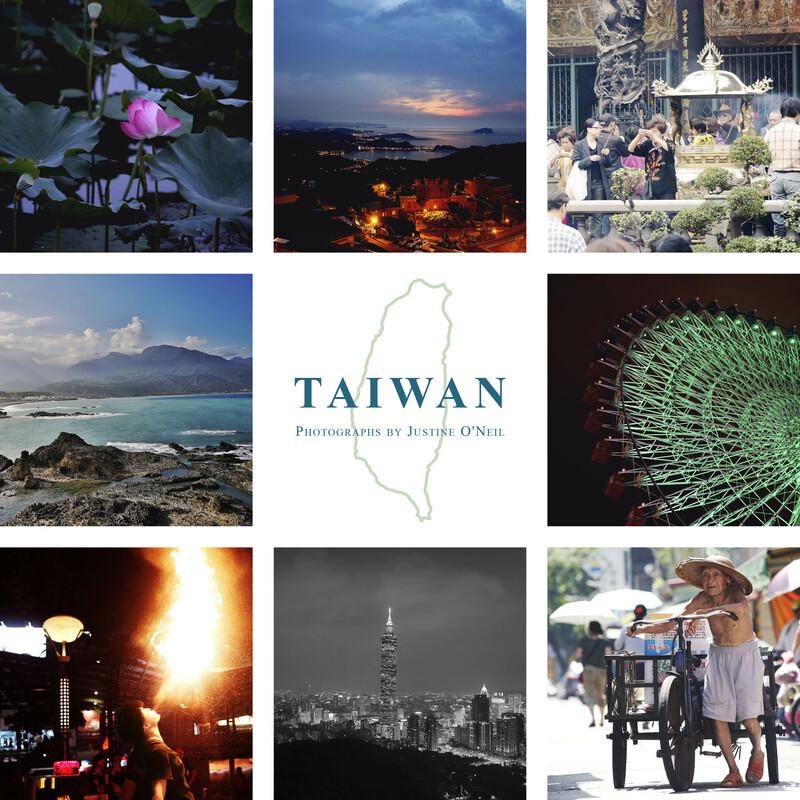 Do you know how to apply for a Taiwan driver’s license or open a local bank account? 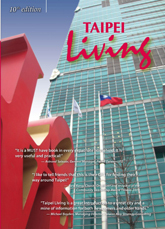 Newcomers and long-time residents alike tell us Taipei Living is the essential resource guide for answering many questions about life in Taipei. Organized like a “yellow pages” telephone directory, Taipei Living’s A to Z listing of businesses and services provides names, contact information (telephone, fax, email) as well as both Romanized and Chinese street addresses. To view a sample page from the A to Z listing, please click this icon. by Amy C. Liu – Essential for Newcomers, Informative for Old Timers!! 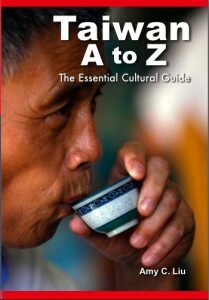 Whether you want to learn more about Taiwanese culture personally or help your friends or newly arrived colleagues this is the book that people have been requesting for years. It gives fascinating insight into the traditions, cultures, peoples, festivals, food and etiquette surrounding everyday life on this very special island. Taiwan A to Z is a product of the author’s re-discovery of her own roots. Written by Amy C. Liu, a Taiwanese who has lived in the United States since the age of 13 and traveled to over 30 countries including Japan and Taiwan. Amy has a deep understanding of both Western and Eastern cultures. Amy knows where foreigners come from, what foreigners most need to know and most want to know about this unique island of Taiwan. In this book, Amy leads us on a thorough journey of her homeland, Taiwan; she provides true insights into the intricacies of Taiwanese culture; she carefully points out the importance of ‘guanxi’, ‘face’, hierarchy for those in professional positions as well as giving all the clues you need to attend Taiwanese events like a wedding. This exceptional book is not only for foreigners living and working in Taiwan, it is also a must read for teachers, tour guides, cross cultural couples, or indeed anyone who has an interest on Taiwan. And it would make a great gift for visitors or for the folks back home! 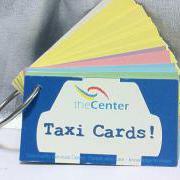 Taxi Cards are one of our most popular publications. Each section contains listings of places frequently visited by the International Community in English, Chinese, they include hanyu pinyin and GPS for ease of navigation. The “Useful Phrases” section contains a collection of the most frequently used phrases in daily life around Taipei and Taxi phrases. As with the listings in other sections, these phrases are written in English, Chinese and also hanyu pinyin (romanised Chinese) to guide pronunciation. Taxi cards are a lifeline for those who have moved to Taipei with limited or no knowledge of the Chinese language, making navigating the city a breeze. These cards are available at The Community Services Center and also major bookstores around Taipei. The Taipei area has a lot more to offer the hiker or day tripper than just Yangminshan or the National Palace Museum. 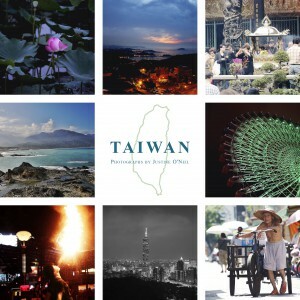 For people who want to enjoy the beautiful mountains surrounding Taipei, the Taipei Escapes guides (revised August 2011) provide an extensive listing of hikes complete with maps and detailed information for getting there by car or public transport. No knowledge of Chinese is required; the route for each trip is described in detail and Chinese characters are supplied to make communicating and finding your way easier. Each hike is rated for difficulty, including notes when walks are not suitable for children and/or dogs. These guides offer an insider’s perspective on where to go and when. 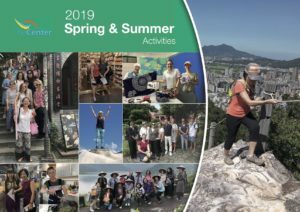 Many of the walks in the books pass through relatively little visited areas, providing a respite from the hustle and bustle of Taipei.The guides also discuss the best time of year and weather conditions. Taipei Escapes 1 & 2 and Yangmingshan the Guide are available for sale at The Center and bookstores around the island. Proceeds from the sale of these publications are reinvested in the community through The Center’s programs and services.